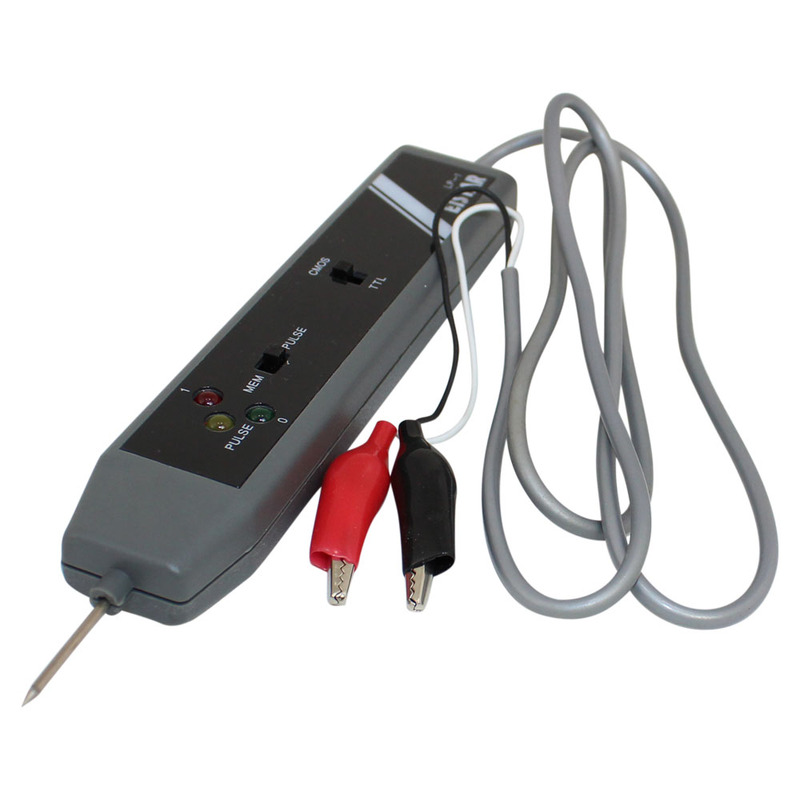 Circuit Specialists carries convenient and versatile handheld test probes for analyzing and troubleshooting digital circuits' logical states that can be used on transistor-transistor logic (TTL), diode-transistor logic (DTL), and complementary metal-oxide-semiconductor (CMOS) integrated circuit devices. Our low-cost LP-1 logic probe has pulse memory function and can detect four different states (high, low, pulse, and high-impedance). If you need to observe or record many logic levels you'll need a logic analyzer.